Research Title: Fabrication of Polyamic Acid nanofilter Cartridges for Water Purification to Cotrol Waterborne Diseases in Kenya- PI. Research Title: Chronic Esposure to Cartha eduls F(MIRAA AKA Khat) extract on testicular functions Co-PI. 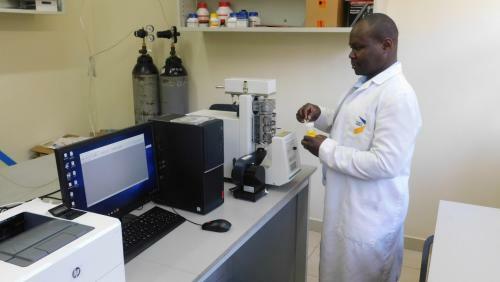 Research Title: Screening for Antimicrobial and Anthelminthic Activities of Selected Kenyan Medicinal Plants Co-PI. Research Title: Isolation and Screening of Potential Bioplastics Producing Halophiles from Kenyan Soda Lake Bogoria -Co-PI. Research Title: Genetic and molecular characterization of loci in the human malaria parasite Plasmodium falciparum that determine differential rates of parasite multiplication in vitro and in vivo. 2017. Co-PI. National Research Fund grant. “Incorporating local microbes towards integrated effective waste treatment and management.” Ksh. 3,000,000. 2015. PI. Partners for Care Research Consultancy grant. 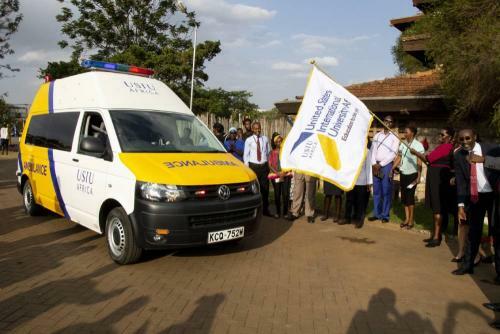 Analysis of Patients’ Perception of Marsabit County Hospital in Kenya before and After Facility Upgrade by Medshare® and Coca-Cola Foundation. US$ 4,800. 2015. PI. UN Habitat Research Consultancy grant. “Acceptability of Water Backpack® as a substitute for the 20L Jerri can for water carriage and storage in Embu, Kenya” US$12,000. 2014. PI. Partners for Care Research Consultancy grant. Health Service Improvement: A Mid-Term Evaluation of the Current State Map of Marurui Health Centre. US$ 4,670. 2010 Co-PI Wellcome Trust- United Kingdom grant. “The Genetic Analysis of Growth Rates in Plasmodium falciparum.” GB£ 330,000. 2. 2014: Co-PI. NACOSTI. Enhanced Biogas production through co-digestion of potato peels and fish processing residues in informal settlement.Ksh. 2,000,000.